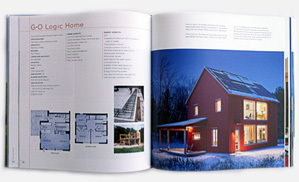 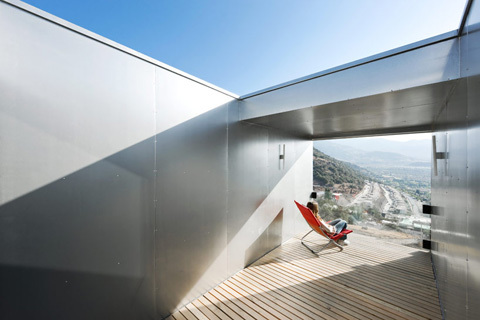 To reduce construction time and costs in architecture, the option is quite simple: prefab. 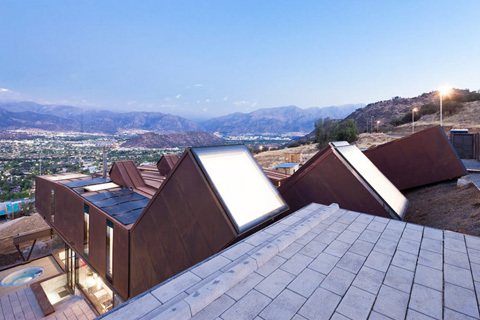 In Santiago de Chile there’s a prefabricated house that reinforces this statement by using second hand shipping containers as the main module for the design of this unusual home. 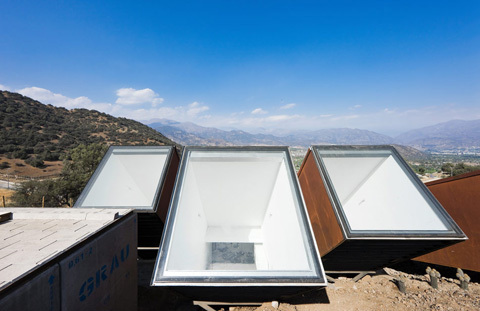 The challenge was to adapt these modular pieces to a very sloped site near the Andes Mountains. 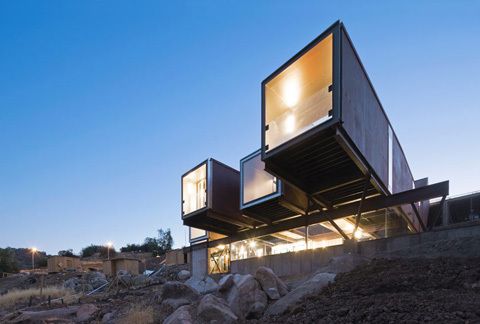 An ingenious solution was adopted by letting the containers rest on the slope, following the natural topography of the site… hence, the name of the project: Casa Oruga, which means Caterpillar House. 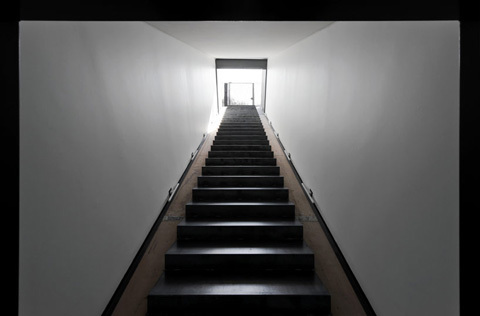 The building has a project area of 350sqm divided in two levels: the tight adjustment of the house to the natural ground generated a steep entrance zone stairway and also a curious spatial detail in the children rooms having each one an inclined inner space combined with a skylight and a bed. 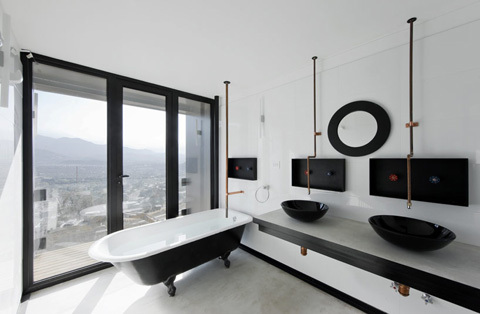 A hall area distributes to a sequence of six bedrooms with bathrooms carefully spread throughout a combination of shipping containers. 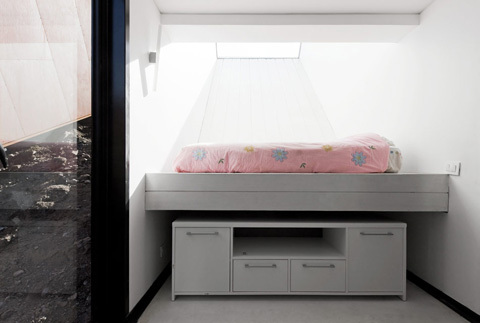 Social areas and a small bedroom compose the lower level. 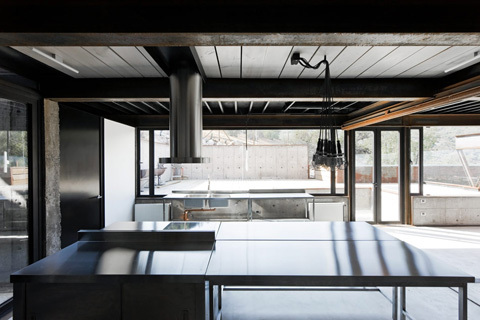 Kitchen, living and dining share the same open space, taking advantage of outdoor terraces. 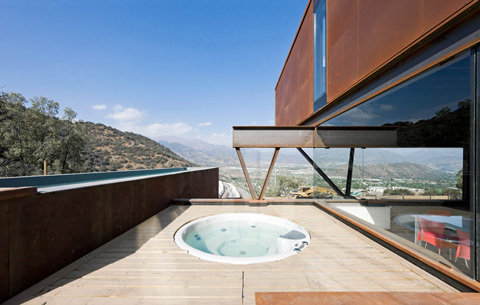 A large pool reaffirms the inhabitant’s need to be permanently in touch with the amazing surrounding context provided by the Andes Mountains. 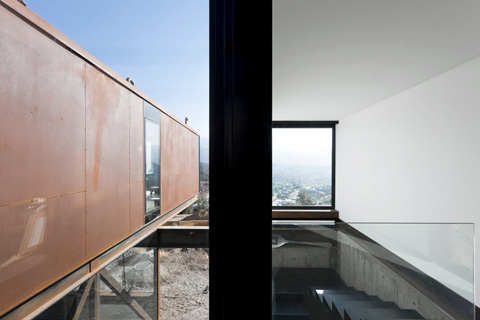 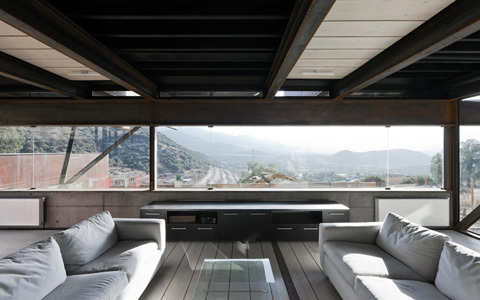 Low cost materials were used inside and outside, from wood flooring to exposed steel structures… Still, none of these prefab elements seem to disturb the rocky surroundings of Santiago de Chile.